The Navy has pre-released an out-of-cycle Broad Agency Announcement as part of the Direct to Phase II Accelerated Delivery and Acquisition of Prototype Technologies (ADAPT) Pilot Program. 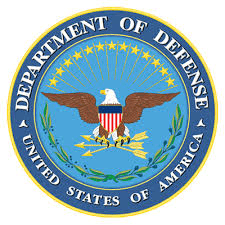 During government fiscal years (FY) 2012 through 2022, the Department of Defense (DoD) including the Department of Navy (DON) may issue a Phase II award to a small business concern that did not receive a Phase I award for that R/R&D. Prior to such an award, the head of the agency, or their designee, must issue a written determination that the small business has demonstrated the scientific and technical merit and feasibility of the technology solution that appears to have commercial potential (for use by the government or in the public sector). The determination must be submitted to Small Business Administration (SBA) prior to issuing the Phase II award. This BAA is being issued in accordance with the requirements of the DP2 authority. Only those small business concerns (SBCs) that are capable of meeting DP2 proposal requirements may participate in this BAA. No Phase I awards will be issued.